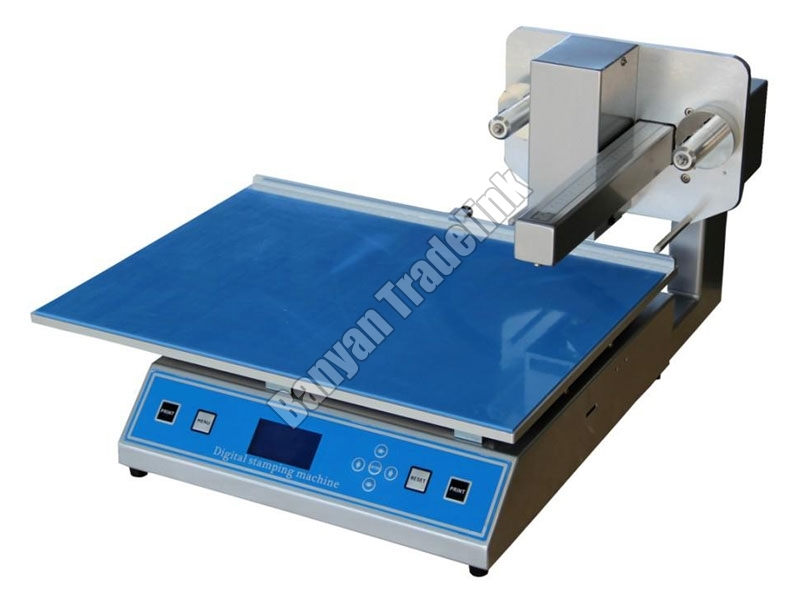 Hot Foil Printing Machine (3050B) is suitable for printing information on paper, plastic, cloth, leather, fiber etc. We are based in Ahmedabad, Gujarat and known for importing, exporting and supplying Hot Foil Printing Machine (3050B) that delivers superior performance. To ensure defect-free delivery of our Hot Foil Printing Machine (3050B) at the customersâ�� end, we check it on all the predefined parameters of quality. Application : Graphic hardcover, card design, sign, image, gift, personalized greeting card, celebration etc. Printing Media : Paper, PVC card, leather, sticky notes, fabric, ribbon etc. The max printing width is 57mm, save electricity, the power only 150W.